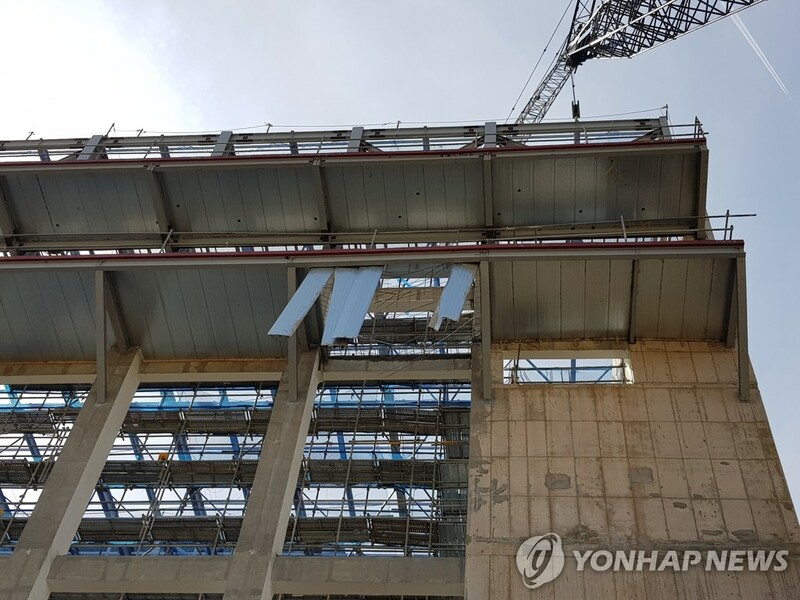 ANDONG, South Korea, March 18 (Yonhap) -- Three construction workers fell to their deaths while working at the construction site of a new town in North Gyeongsang Province on Monday, rescue officials said. The workers fell about 20 meters at the site in Andong, 260 kilometers south of Seoul, at 12:41 p.m., the officials said. The workers were immediately taken to a nearby hospital but were pronounced dead, according to officials from Andong fire and rescue services. The accident occurred as a steel mold on the fifth floor of the construction site collapsed, while they were pouring concrete into it. Police said they are investigating what caused the accident. The provincial government is building a complex that will be used to dispose trash and food waste being generated in 11 cities and counties. The construction began in December 2016 and is set to be completed in August.